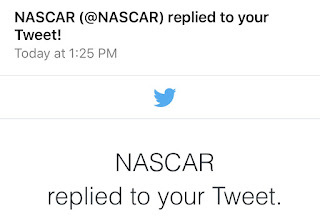 Hugs for Hailey: Hailey goes to Nascar! I've blogged many times about how Hailey LOVES pretty much anything race related! She had a blast at the NHRA races, she ADORES Tanner Foust and Scott Speed and cheers them on at the Rally Car races, and next on her list was being able to go to a NASCAR race! Make a Wish of Southern Nevada was given tickets to give out to wish families from Sprint. These were VIP tickets and we all got to watch the races from the Sprint Suite! All the people we meet that work for SprintCup were so nice to the kids. Each one even got a special swag bag of goodies! To prepare Hailey for what our adventure would be we took her down to her favorite chocolate factory, Ethel M! She was able to see the M&M race car that gets driven by Kyle Busch. She thought that was so great! An M&M race car!? 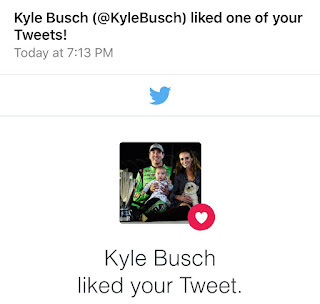 When we told Kyle Busch that we went to see his car and wish him luck, he favorited our Tweet on Twitter! We couldn't tell cause we were in the Sprint Suite, but it was a cold and windy day in Las Vegas. Hailey made sure that her and her dad got as close as they could so they could watch the race and cheer on #18!! Before the race started we got to meet Miss Sprint Cup and Hailey thought her name was Miss Race Car Princess. Miss Sprint Cup was adorable with all the kids! She even asked if she could please have a photo with each of them which made them all feel super special. I loved that! The kids were also visited by Darrell Waltrip who is a Hall of Fame race car driver that does the commentary for the Nascar Races. Hailey and Miss Sprint Cup watched the race together and during the caution flags they would take selfies with my phone! So cute! Hailey cheered on #18 and in the end Kyle Busch won!! 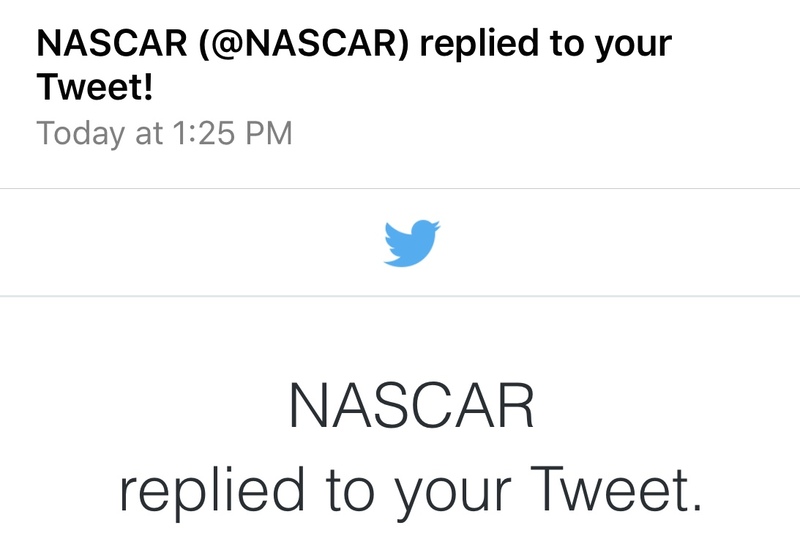 We wanted to let NASCAR know how much fun we had with Make a Wish SNV, Sprint, and Darrell that when we did they replied to on tweet on twitter too! It's pretty neat that just through social media we were able to introduce people to Hailey, and Leukodystrophy, and to Make a Wish SNV. It was such a fun day! A couple days later Hailey got something pretty neat in the mail! A signed box of chocolates from Kyle Busch thanking Hailey for being a fan! We hope we get to do that again! It was a lot of fun! !